Welcome to Parkview Elementary School, home of the Panthers, where our school motto is: Parkview Panthers are PAWSitively Respectful, Responsible, and Safe. 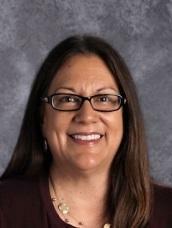 My name is Susan Kind and I am the proud principal of Parkview Elementary School. It is truly a privilege to serve this outstanding teaching and learning community and to be following in the footsteps of such stellar administrators. I look forward to working with the dynamic staff, dedicated parents, involved community, and most of all students to continue building upon our culture of equity, inclusivity, and academic excellence. I am committed to supporting our teachers to provide rigorous and engaging instruction and I am delighted to get to know your children as they discover the wonders of learning and strive to reach their potential. Our exceptional staff is dedicated to creating a culture that promotes an environment of positive academic and social behaviors through our school-wide Positive Behavior Interventions and Supports framework (PBIS). Through this framework students are taught to recognize what it looks and sounds like to be PAWsitively Respectful, Responsible, and Safe in the classroom, the cafeteria, the playground, and all other important areas of the school. At Parkview, students engage in authentic and meaningful learning experiences. Through the core subject areas of math, language arts, science and social studies, students explore the world around them while developing the creative, communicative, collaborative, and critical thinking skills required to be successful in college, career, and citizenship. Parkview students enjoy technology integration in literacy and math through such programs as Reading A to Z (RAZ Kids) and i-Ready. In addition, Parkview has implemented Sobrato Early Academic Language (SEAL) for our transitional kindergarten through third grade students, Expeditionary Learning ELA and math, CPM math for 6th grade students, and Project Based Learning (PBL) for our upper grade students. Parkview is also the proud new home of Oak Grove School District's Autism Program. In addition, Parkview offers support for students with individualized learning plans, Response to Intervention support, a Gifted and Talented program, leadership and student council opportunities and many other programs and activities. This year, we are excited to announce Parkview will implement the Lantern Literacy Project, a project to share stories from the African diaspora and the African-American experience. We are honored to have the opportunity to teach your child and to get to know you. This website serves as an informational tool. In addition to this website, Parkview families are sent a weekly phone message on Sunday evening with highlights of the upcoming week as well as a printed monthly newsletter. Should you need any information or have questions, please call our incredible front office staff at (408) 226-4655 or feel free to email me at skind@ogsd.net. We invite you to learn more about Parkview by viewing these pages on this website or by liking us on Facebook.